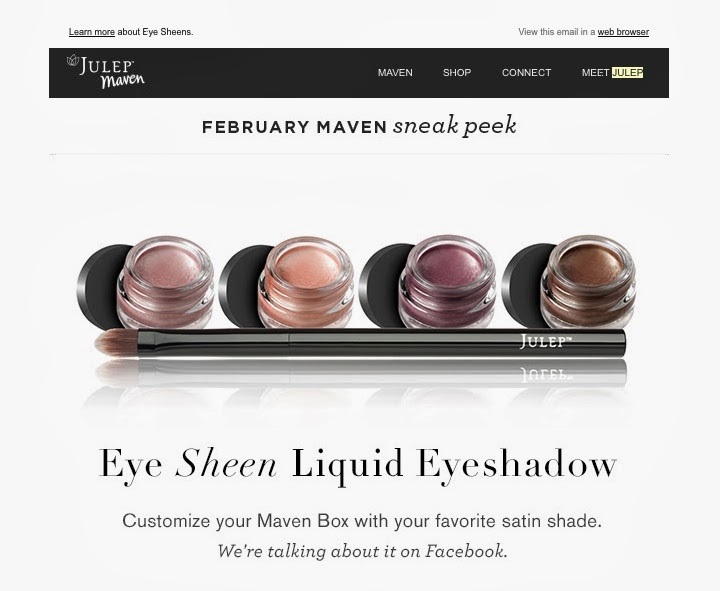 And speaking of Julep, we finally have a sneak peek of February's Maven collection: the Eye Sheen Liquid Eyeshadows! We know the blending brush will be an add-on, but the great news is that, instead of getting an assigned shade with our Maven profiles, we'll be able to choose our favorite! As cool as this is, the shades are all so pretty and wearable that it's going to be a challenge not to upgrade (or at the very least add on) this month. Even though I'm an eyeshadow freak, I don't think I've ever used a liquid shadow before. 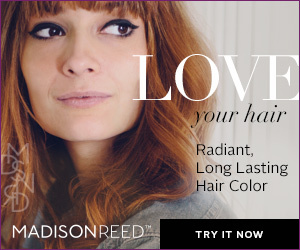 Judging by this tutorial Julep posted on their website, though, these eye sheens look like a breeze to apply. They also look high-quality: richly pigmented, but sort of sheer. Can't wait to see the full February collection on Monday! Not yet a Julep Maven? You can sign up using this link and type in code FREEBOX to get your first month free (plus $3.99 shipping and handling). If you spend $35, you get this entire set (a $75 value) free with code JUSTDEWIT. The set includes a peel-off mask noir ($32 value), a Beach Tonic dry oil ($23 value), and a moisture mask trio ($20 value). I'm not sure how long this promotion will run (***), but you should be able to get it with a Maven box upgrade -- we'll have to test this theory out on the 20th! What are you guys' thoughts about February's eye sheen liquid eyeshadows? Will you be upgrading this month? *** UPDATE: The JUSTDEWIT promo code expires tonight, January 19, at 11:59 Pacific time. Guess that means it'll have to get used today rather than with our forthcoming Maven boxes!